Posted on: January 9th, 2019	by Melanie C.
Did you know there are many free places to visit in your community only a few miles away, perhaps even walking distance, that you and your children can visit? Sometimes it seems like exciting activities are a far drive away or cost a lot of money, but sometimes fun can be anywhere. There are many local places that you can visit and tour for free! Firefighters are looking for children who will one day be future volunteer firefighters. 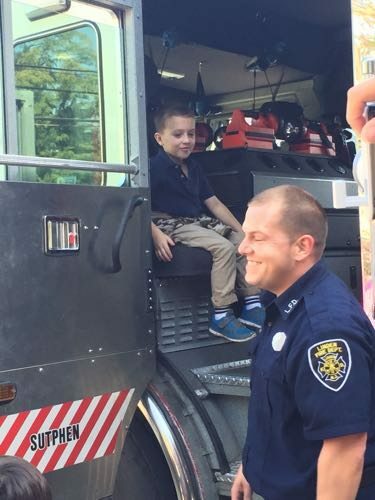 Firefighters hope to inspire and motivate children to follow their dreams. They hope that they can do this by inviting them in to tour one of your local fire houses. It may take a little bit of work but you can research local fire houses, get a group together, and call your local fire chief. It is the perfect event for one of those days off of school and your child will learn something about how the local men and women save lives. Another place that is tons of fun for children to tour. Call your local police station and see if they will host a group or just your family. Police officers are usually glad to demonstrate how they help the community and why children should not ever be afraid of police officers. This is a great and simple way for children to give back to the community. There are many elderly individuals who do not have any family nearby for visits. Call the activities director and set up something fun for the children to do with the senior citizens, perhaps a craft or singing. I love to take my children Christmas caroling every year during the holidays. The children and the senior citizens really enjoy it. Some restaurants offer free or low cost restaurant/kitchen tours. Some will include making pizza or having a dessert there as well. Chick-fil-a often does group kitchen tours for children, just contact your local restaurant and ask if they do something like this. You will be amazed at the things you didn’t even know existed in your own community! 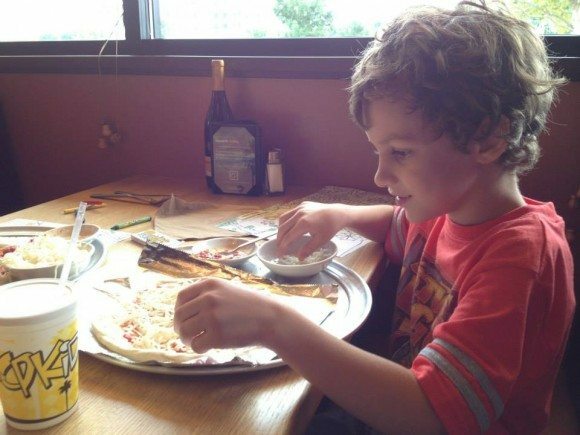 Making his own pizza after a behind the scenes tour at a California Pizza Kitchen. 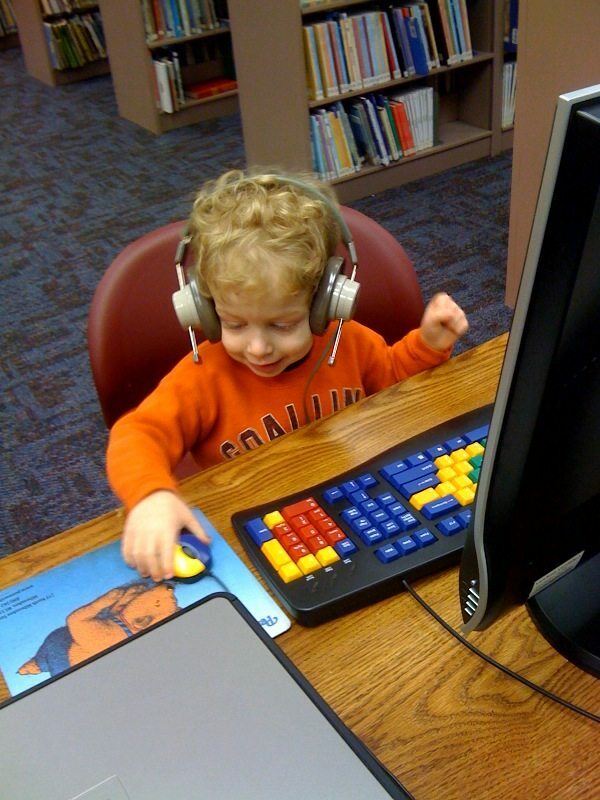 Libraries are no longer places of hushes and shushes but a place for children to learn, grow, and explore. There are times to bounce, play with Legos, meet authors, and learn about different cultures. Check out our calendar for local library events and look out for future posts on what local libraries have to offer. It seems that more often, grocery stores are becoming a community hub. Stores now offer cooking classes for adults and children, craft sessions, store tours and scavenger hunts. Some even have childcare rooms! Many larger stores have dietitians on staff that can help you and your child to adopt a healthier lifestyle. Next time you’re doing your food shopping, look for signs for upcoming events, or just ask! 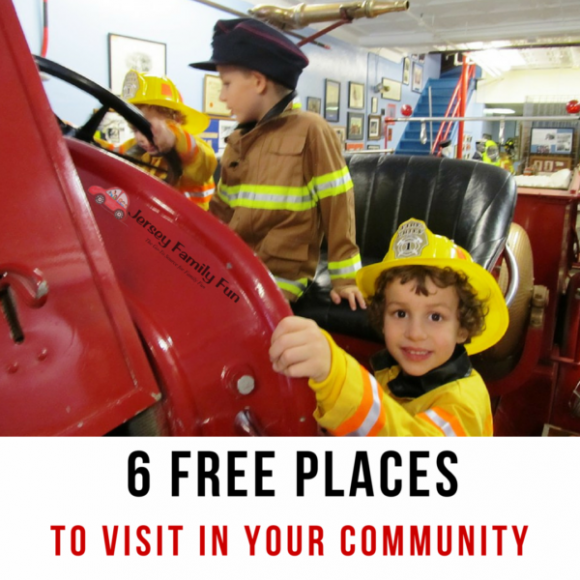 This is just a small sampling of some free places to visit in your community. From the librarian, police officer, to the cook at your local restaurant, learning is everywhere! For more ideas, check out our Free Places to Go in New Jersey article!